In the cold water of the Arctic, an animal with a huge, bow-shaped mouth feeds and sings. The animal is known as the bowhead whale. It lives for over a hundred years, produces beautiful songs, and can break through sea ice a foot deep. It also has the largest mouth of any animal in the world. The bowhead whale can reach a length of over sixty feet and weighs an estimated seventy-five to a hundred tons. Despite its size, the whale feeds on tiny organisms known as plankton, which it filters out of the water with the baleen in its mouth. 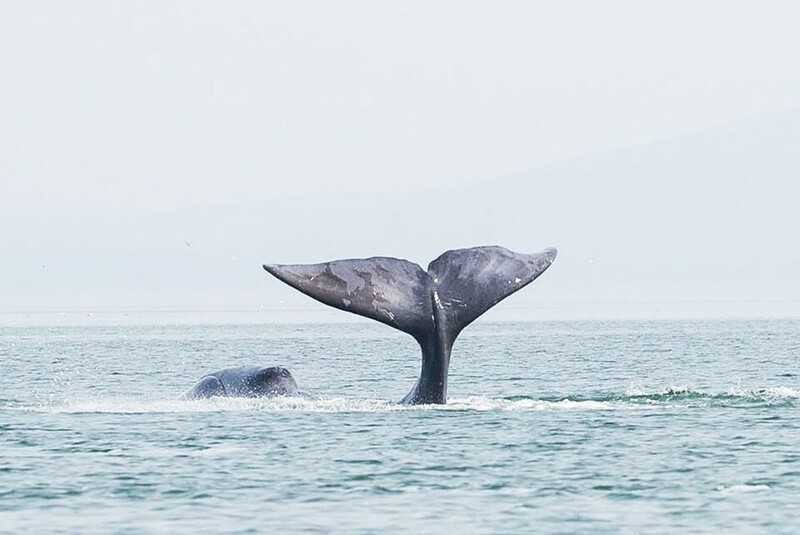 Bowhead whales usually travel on their own, apart from a mother and her calf, but they are occasionally seen in groups. They are very vocal animals at certain times of the year. Like humpback whales, they produce complex sound patterns known as songs. These songs are diverse and very intriguing. The scientific name of the bowhead whale is Balaena mysticetus. It used to be known as the Greenland whale or the Greenland right whale. It's thought that "right" whales were given their name because they were the right whales to hunt. Bowhead whales spend a lot of time under the Arctic ice, making them difficult to study. In the winter, they live at the southern extent of the ice. In summer, they move into channels between ice floes and visit bays and estuaries. The animals live in five different subpopulations, three in the North Atlantic and two in the North Pacific. Recent research suggests that these subpopulations may not be as distinct as was once thought. There seem to be overlaps between some of the groups. The five subpopulations and the location where they're found are listed below. An adult bowhead whale has a rotund body. The animal is black except for a white patch at the front of its lower jaw. This patch may be broken up by small black spots that often look like beads on a necklace. Some individuals have a white or grey band in front of their tail flukes. The huge head of the whale makes up about one third of its body length. Its curved mouth has the shape of a bow. Although its head and mouth are large, the whale has small eyes. 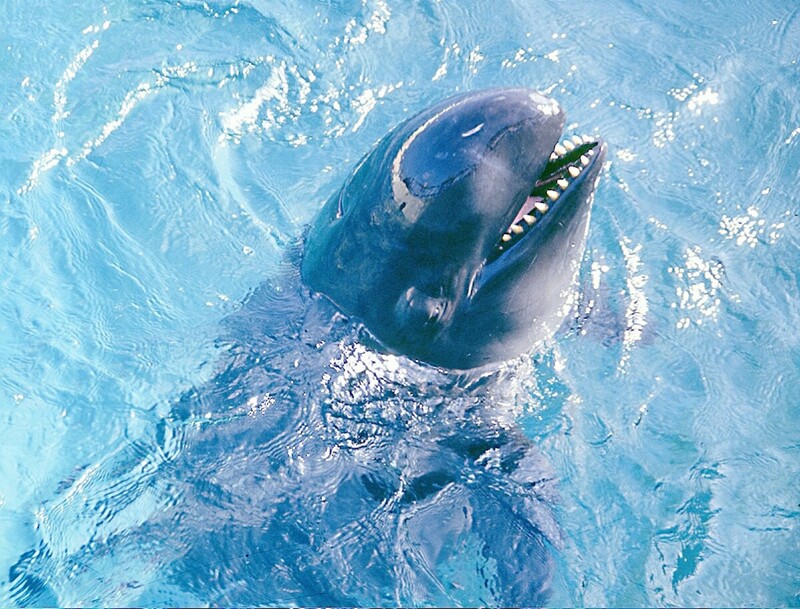 Its two nostrils or blowholes are located on a raised area on its back. This area is known as a stack. The blowholes produce a v-shaped blow. There is no dorsal fin on the animal's back, which allows the whale to swim right underneath the ice. The raised stack enables the whale to breathe through a small hole in the ice. It either creates this hole with its strong, reinforced skull or uses a breathing hole that's already been created. 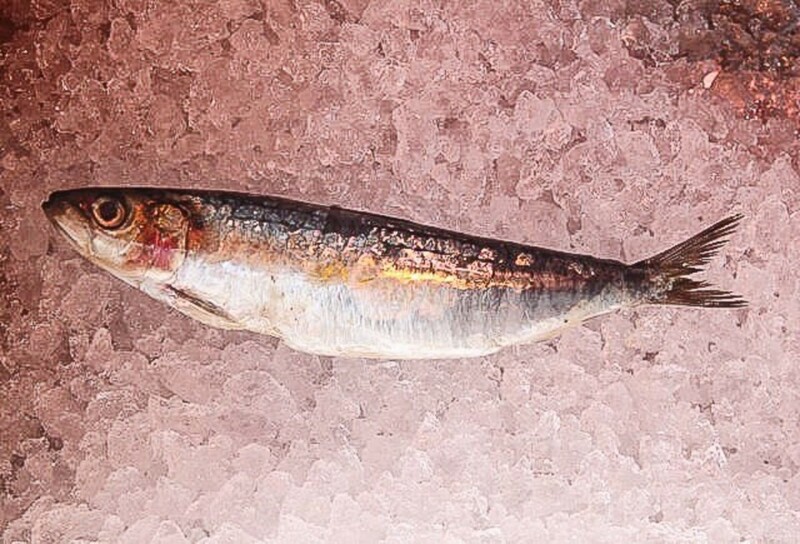 The animal's skin often bears scars produced from encounters with ice. Baleen whales have no teeth. Their baleen consists of a series of plates that hang from the upper gumline in a direction that is perpendicular to the direction of water flow into the mouth. The plates are arranged in two groups, one on either side of the mouth. In a bowhead whale, there are about 330 plates in each group. The plates in a group are parallel to each other and are only about a centimetre apart. Each baleen plate is triangular in shape. It's made of a protein called keratin, which also makes up our fingernails and hair. The outer edge of a plate is smooth, but the inner edge has a frayed or fringed appearance. The fibres in the fringes are often referred to as bristles. The bristles of a baleen plate form a tangle with the bristles of other plates. As a result, a hairy mat is produced. This mat traps plankton. 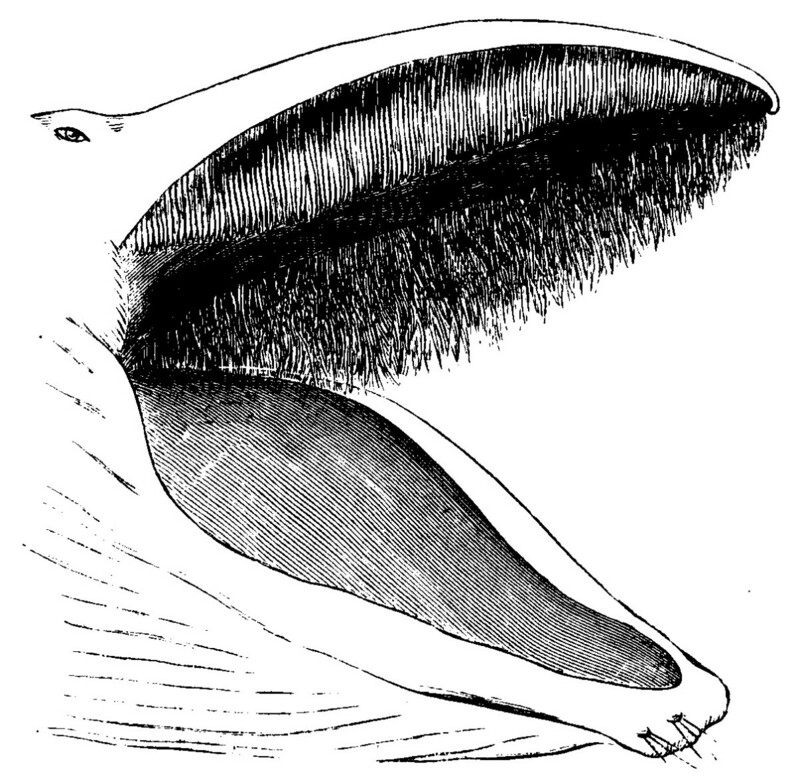 A person looking at a whale's baleen from the side may see a neat, orderly arrangement of plates that looks rather like a giant comb (assuming the whale's mouth is partially open). This is shown in the video below. If the person is lucky enough to view the open mouth from the front, they may be able to see the long tangles of bristles on the inner edges of the baleen plates. The colour of the baleen, size of the plates, and texture and length of the bristles is different in different whales. Bowhead whales have very long bristles. Bowhead whales have the longest baleen of all the mysticete whales with a maximum length of 13.1 feet (4 meters). The video below shows a right whale skim feeding. (The video contains no sound.) Bowhead whales also skim feed. How Does a Baleen Whale Feed? 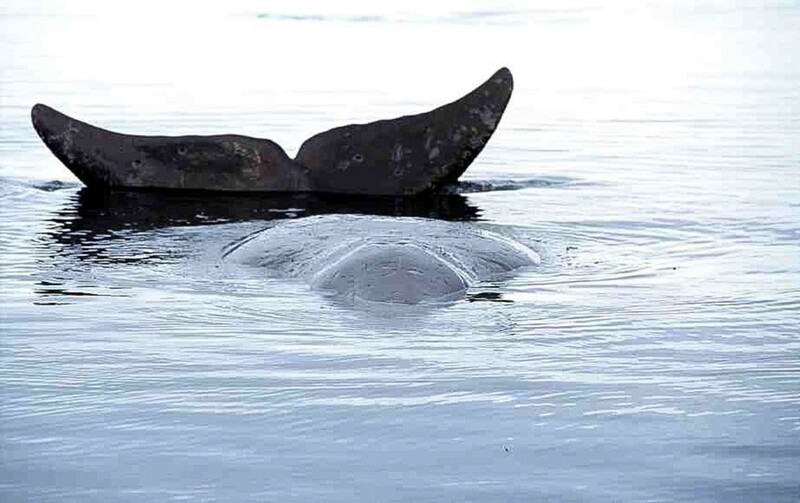 A bowhead whale seems to be mainly a skim feeder, although it may feed underwater as well. During skim feeding, the whale swims at the surface of the water with its mouth open, as in the video above. This allows sea water to enter the mouth. Tiny creatures collectively known as plankton are trapped on the baleen and become the whale's food. The sea water leaves through the sides of the animal's mouth. A whale licks the trapped food off its baleen with its tongue. According to the American Cetacean Society, the tongue of a bowhead whale weighs about one ton, or 907 kg. It's a powerful structure. The manipulation of the baleen with the tongue breaks it down. In fact, the action of the tongue creates the frayed inner edge on a baleen plate as it erodes the plate. Like our fingernails and hair, the baleen of a whale never stops growing, although it may slow down as the whale ages. This allows the damaged baleen to be replaced. It might seem that the bowhead whale's method of catching tiny organisms must be a very inefficient way of feeding. It's obviously effective, though. Baleen whales reach huge sizes. The blue whale is a member of the baleen whale group and feeds on plankton. It's not only the largest whale in existence but is also the largest animal on Earth. What Does a Bowhead Whale Eat? Plankton is a collection of tiny or microscopic organisms that either drift in the ocean without swimming or swim so weakly that they are unable to resist water currents. Bacteria, diatoms, microscopic algae, very small jellyfish, eggs, larvae, and tiny crustaceans are all part of the plankton. The most important component of the plankton for bowhead whales is the crustaceans. These animals include euphausiids, which resemble small shrimp. 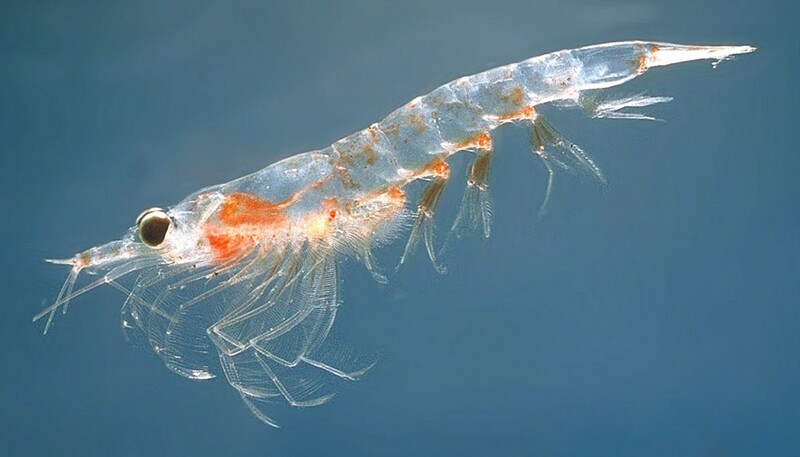 Krill are members of the order Euphausiacea and are very common in plankton. They are generally less than an inch in length, although some giant species are a few inches long. 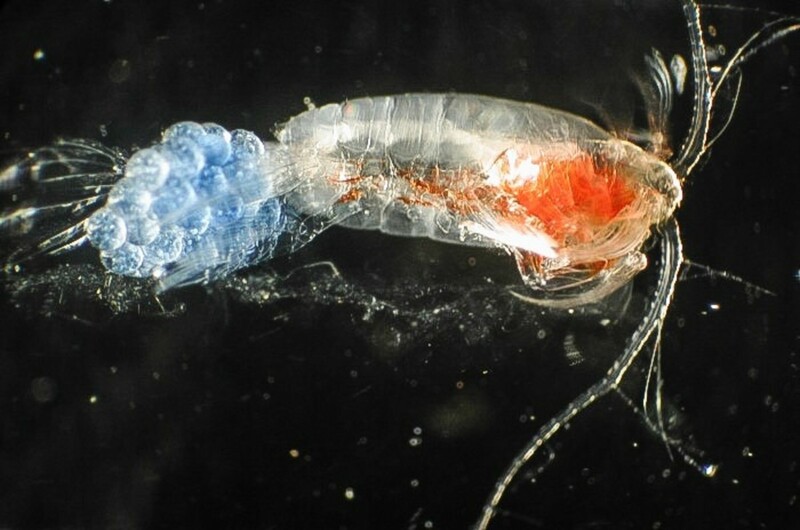 Copepods are also important crustaceans in the whale's diet. They are classified in several different orders. Bowhead whales are usually solitary animals. They are occasionally seen in small groups of two to three animals. Rarely, they are seen in larger groups. The large gatherings tend to develop during the annual migration in the spring. This is also the time when whale songs have been recorded. Members of the general public may know about the haunting songs of humpback whales. Researchers have discovered that bowhead whales also produce beautiful songs. 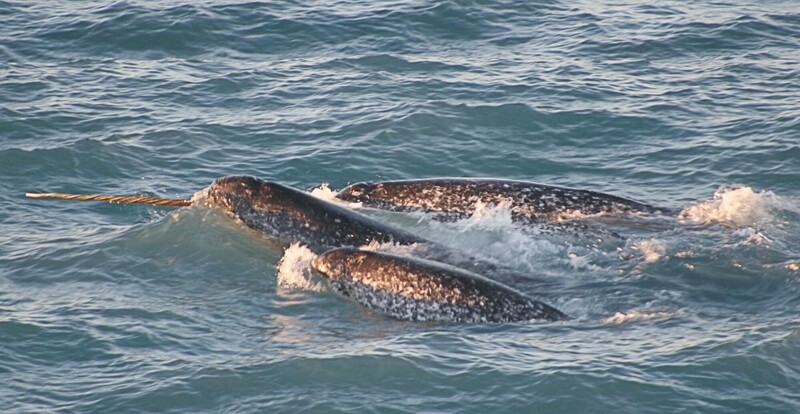 In early 2015, scientists reported that they had recorded twelve new songs sung by thirty-two bowhead whales during their spring migration northwards. The whales belonged to the Bearing-Chukchi-Beaufort subpopulation. Previously, researchers had discovered sixty-six different songs sung by bowhead whales, although these recordings were recorded over a longer period of a year. The 2015 discovery is significant not only because it may tell us more about socialization and communication in bowhead whales but also because it's unusual. Humpback, blue, and sperm whales also sing, but the bowhead whale has a much greater diversity of songs than these whales. Bowhead whales are unique among all other whales in that they change their songs within and between years. The video below includes the sounds of bowhead whales and other marine mammals in the Arctic. Researchers aren't sure why whales sing. Only male humpback whales produce songs. Scientists theorize that at least in this species the purpose of the songs is to attract females. Other theories have been suggested, however. 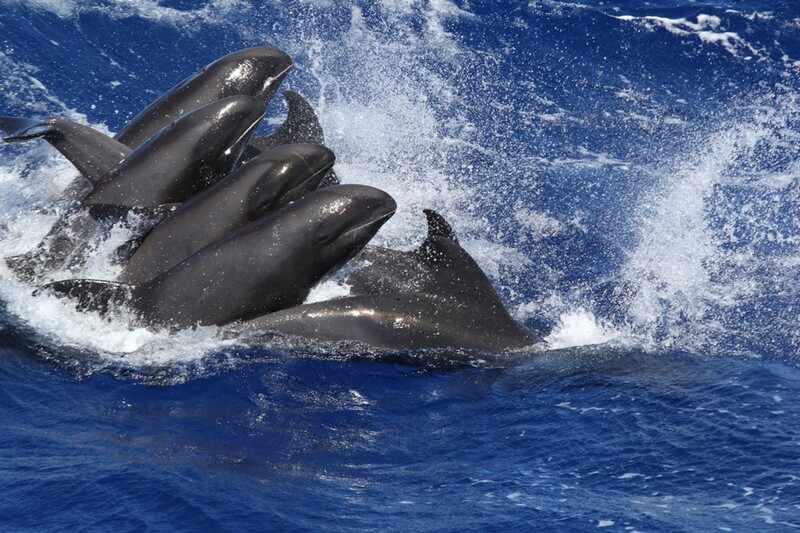 The songs may provide long-distance contact between the whales and maintain group cohesiveness. They may warn of a problem or of danger. They may even be used to advertise the identity of a particular whale or their group. Unlike toothed whales, baleen whales are unable to echolocate. During echolocation, a whale (or dolphin) emits high-pitched sounds that bounce off objects and reflect back to the whale. The reflected sound gives the whale an impressive amount of information about an object, including size, shape, density, position, distance, and speed of movement. It's been suggested that baleen whale songs help with navigation and environmental analysis and partially replace echolocation, One theory says that baleen whales compare distant and distorted songs to the correct version of the song stored in their memory. This may tell them not only where the singers are located but also something about the environment between them and the singers. The idea that whales sing for enjoyment has also been raised, but this suggestion isn't being considered seriously because it can't be tested. Bowhead whales mate in the late winter or spring. They don't breed every year, however. The female generally has only one calf and gives birth every three to seven years. The gestation period is thirteen to fourteen months. The baby is grey in colour at birth. Researchers estimate the age of bowhead whales by determining the age of stone or ivory harpoons embedded in dead whales and by an examination of eye tissue. They say that a lifespan of longer than 100 years is likely. Some researchers even suggest that a lifespan of 200 years is possible. There is increasingly good evidence that bowhead whales can live for well over 100 years, and they may be the longest-lived mammal on Earth. 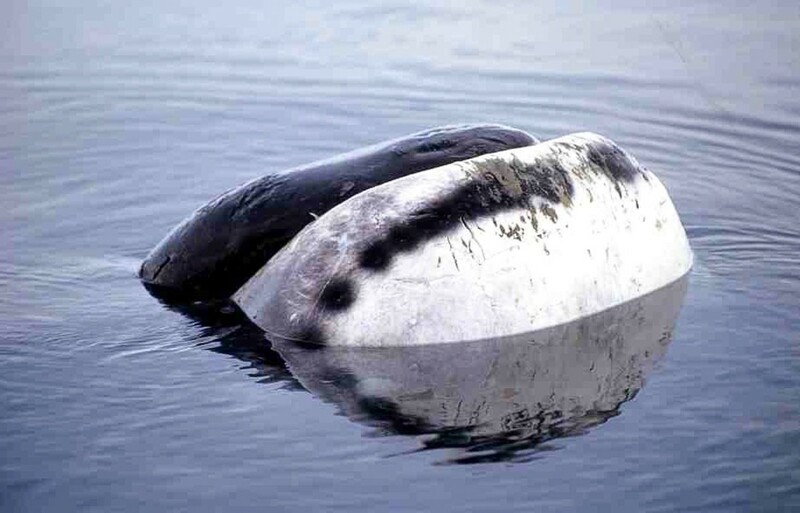 The literature states that the bowhead whale population is both of least concern and endangered. This sounds impossible, but the assessments actually refer to different subpopulations of the whale. According to the IUCN, or the International Union for Conservation of Nature, the Bearing-Chukchi-Beaufort Sea population is of least concern, the Sea of Okhotsk population is endangered, and the Spitsbergen population is critically endangered. Commercial whaling took a tremendous toll on the bowhead whale population. Today the whales are no longer hunted commercially. They are actually increasing in number in the Bearing-Chukchi-Beaufort Sea region. Subsistence hunting by indigenous people in the whale's habitat is allowed, but a quota must be followed. This low-level hunting doesn't seem to be interfering with the recovery of the population. It's hard to get accurate population counts because of the secretive life of the whale, but it seems that it isn't recovering in all parts of its range. Overall, though, it's doing okay because of the success of the Bearing-Chukchi-Beaufort Sea population. 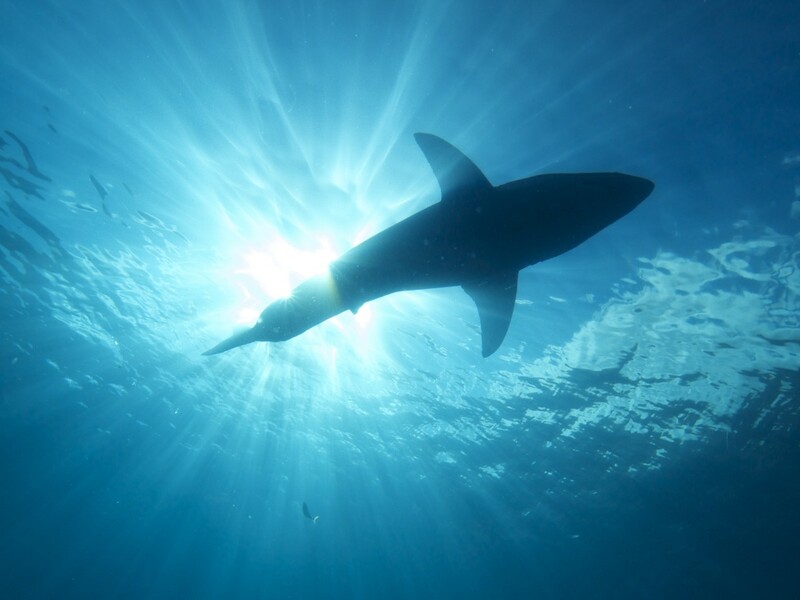 Some researchers have expressed concern about the effects of gas and oil exploration, entanglement in fishing gear, ship strikes, pollution, disturbance by tourists, and the loss of Arctic ice. The loss of ice may be biggest threat of all for Arctic mammals. Bowhead whale dives usually last up to sixteen minutes. Dives slightly over thirty minutes have been recorded, however. The whales swim slowly at two to six miles an hour, but they can swim up to thirteen miles an hour for a short period of time during an emergency. The animals have thick blubber in order to insulate them from the cold. Blubber is fat, but compared to the fat of land animals it's thicker and contains more blood vessels. The blubber of a bowhead whale may be as thick as 1.6 feet. It provides protective padding and buoyancy as well as insulation. It can also be used as a source of energy. Like other whales, bowhead whales slap their tail flukes on the surface of the water, breach, and spy-hop. In breaching, a whale jumps completely or partially out of the water and then lands on its side with a large splash. In spy-hopping, a whale rises part way out of the water in a vertical position as though it's looking at its surroundings. Bowhead whales are very interesting animals. They may well have a rich repertoire of behaviour that we haven't yet discovered. Learning more about the whale in its natural habitat without interfering with its life will be a challenge, but the effort should be very worthwhile. Thanks, rdsparrowriter. I hope 2017 is a great year for you, too! Wow! I'm fascinated with the information you shared. It made me think of 'Finding Dory' movie.... Interesting videos :) Wishing you a blessed year ahead! Thank you so much for the kind comment, the pin and the share, Peggy. I appreciate your visits and support a great deal! Your articles are always packed with good information. I did not realize that Bowhead whales could live up to 200 years. The videos really added to your hub. Watching these marine mammals feed with wide open mouth was most interesting. Amazing that such large animals eat such tiny organisms and subsist on that. Your website is also filled to the brim with good information. I just took a look at it and did some sharing of your latest article. Pinning this to my animals board. Thank you for the lovely comment, Taranwanderer. I always thought that the blue whale was the most fascinating whale ever - this post might have changed my mind LOL. The bowhead whale has been figuratively brought to the forefront by your writing. Thank you so much for such a kind comment, Jackie! I appreciate your visit and the vote and share very much. Bowhead whales are certainly amazing animals! Thank you for such a lovely comment, Bredavis! I appreciate your visit. Wow, I found your hubs on a favorite hubs forum and Now I see why. This is a great hub and now I have learned some interesting facts. Thanks! Informative hub about wonderful creatures! Thank you very much, jcsteele. Really amazing hub with good information. What a lovely comment! Thank you very much. Alicia, what an interesting hub on the whales. Very informative and educational. I love your layout that takes the reader to the next level of interest, it flows like a whale in the water. I agree, Deb. Our attitude towards wildlife and other animals is often heart breaking. Thank you for the visit. With Shell going to the area of which you speak to drill will definitely have an effect on the existence of this whale, even with stable populations. We can hope for no spills, but scientifically, there is a seventy-five percent chance of it. I shake my head in sadness that we as human beings have so little respect for the life that surrounds us. Thanks for the visit, tony55. I appreciate your comment. I'm interested in all whales, including killer whales. Interesting stuff, i have always liked whales especially the top predators of the ocean the killer whales. Hi, Cynthia. It is fascinating that the whale is able to live on plankton! I hope the population recovers, too. Thank you for the visit and comment. Thank you very much for the visit and the kind comment, oliversmum. Thank you for the comment, word55. I appreciate your visit. Hi, very interesting read about whales and vocal mamals. As long as they don't come where I swim, they are fine. Thanks for the good research and info. Thank you very much for the comment, Mel. I love your attitude towards whales! The information you shared is fascinating, as well as the great videos you have compiled in one place for us. I always learn about new and interesting creatures from reading your hubs, and these magnificent beings (calling them animals seems degrading) deserve our protection. Great hub! Thank you very much for the lovely comment, the votes and the share, Phyllis! I appreciate your visit. Linda, this hub is fantastic. You have a wealth of information here on the Bowhead. I am very impressed and really enjoyed reading your article and watching the videos. Thank you so much, Catherine. I appreciate the comment, the votes and the share a great deal. Thank you very much, Martie. I love to listen to whale songs, too. They are beautiful and interesting. Oh, Alicia, this is another one of your very interesting and informative hubs. Amazing, that those enormous whales eat only plankton. I love the songs of the Bowhead Whales. In fact, I love the songs of all creatures in the ocean. Hi, Flourish. I hope that the bowhead whale is protected, too. It's a magnificent animal. Thanks for the visit. What a well-researched, well-written hub on a gentle, mammoth creature. It is so hard to believe that they can live so long. I hope we continue to protect them. They are beautiful in their own way. Thank you very much, Carolyn! I appreciate your comment, vote and share a great deal. Hi Alicia, I love this article! Excellent and in depth information, great videos! Upvoted and shared! Thank you very much for the comment and for sharing the information, watergeek. Your news is very troubling indeed. I'll be following the latest updates on this topic with interest and with great concern. Great article, Alicia! Obama just ruled that Shell Oil could drill in the Chukchi Sea, which is one of the most dangerous locations in the world to drill. Now I'm worried about the bowhead whale population there. If that's the only place we've found so far where they're not endangered, we may soon make them be. Hi, Anne. Thanks for the visit and the comment. I appreciate your vote as well. I hope that the whale population recovers completely, too. Such amazing animals. Wonderful article.. Thank you very much for the visit and the votes, Rachel. Like you, I think that whales are very interesting animals to observe. Blessings to you as well. Hi Alicia, I love whales, they so fascinating. I would love to see one close up. I love the watch their big tales come up out of the water and to see their water spouts. I really enjoyed the first video, I didn't have time to see the other ones. Thanks for sharing. I voted up, beautiful and awesome. Hi, peachpurple. Thanks for the visit. I think that the lifespan and many other features of the bowhead whale are awesome! Thank you so much for such a kind and lovely comment, Faith! I appreciate all your votes and shares as well. 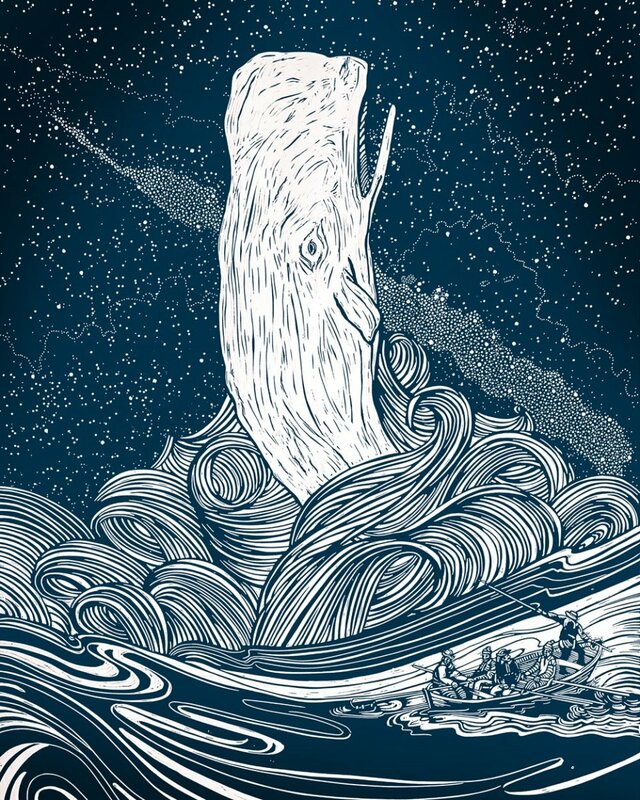 Whale songs are definitely fascinating. I love to listen to them. I hope the rest of the week is enjoyable for you. Looks like another Editor's Choice/HOTD hub here. Your hubs are always stellar and all who read learn so much. I believe I know what category of this year's Hubbie Awards I will vote for you in when it is time! They are certainly magnificent creatures. It is hard to believe they can grow so huge by eating what they eat, but obviously it must be more there to sustain than one can envision. I have seen Blue Humpback Whales ... off the coast of Rockport, MA. We went out to sea about two hours out. Thought we'd never get there. Their songs are fascinating to me. Thank you so much, drbj! I appreciate your kind comment as well as the vote. Thank you very much the comment, torrilynn. I think that whale vocalizations are fascinating as well. Best wishes to you. This is a remarkable piece of writing, Alica, but then all your hubs are - meticulously researched and presented with panache. The bowhead whale is a most interesting subject and I enjoyed reading every single word you wrote. Voted up, naturally. I absolutely love whales. I like the different sounds that they make in order to communicate. Thanks for the great hub. Best of wishes. Thank you very much, Bill. I appreciate your visit and comment. I agree - the bowhead whale is an amazing creature! Wonderful hub Linda. What an amazing creature. Thanks for the education. Thanks Alicia. If I had the money for college, sure. I just have a plain old associate's degree in Liberal Arts for now. Thanks, Bill. Yes, being close to one of these whales could be overwhelming! They are definitely magnificent, though. I can't really say they are as beautiful as Orcas but they are still magnificent. 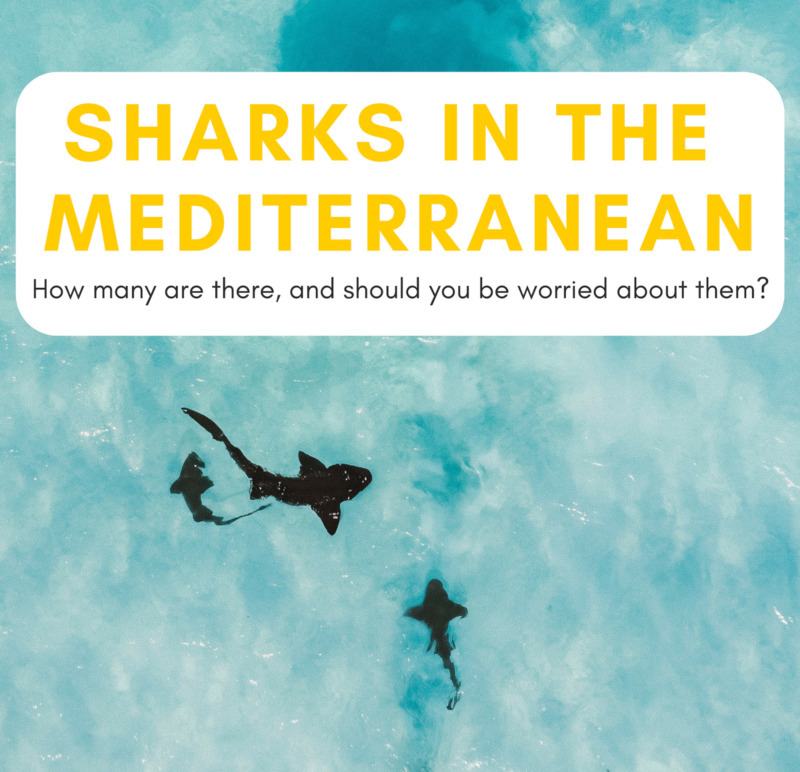 How would you like to be in the water and have one of them brush up against you? No thank you! Always a fascinating read, Linda! It's never too late to learn new things and make changes! Best wishes for the future, Kristen. You're very welcome. I once wanted to be a marine biologist--but when I failed college biology, that was the end of that dream. Hi, poetryman. Yes, the fact that a huge animal can survive by eating such tiny organisms is amazing! Thanks for the visit. It is fascinating that one of largest animals on earth eats one of the smaller creatures on earth. The shear tonnage of plankton in the world to feed this behemoth is quite impressive. Some might say that whales live off scum. Thank you very much, Kristen. I love studying whales and dolphins, too. They're fascinating animals. Alicia, this was a lovely hub about the bowhead whales and their whalesong. I love all marine mammals including whales and dolphins. This was well done and well researched. Voted up for beautiful!